This is the simplest one of the all. 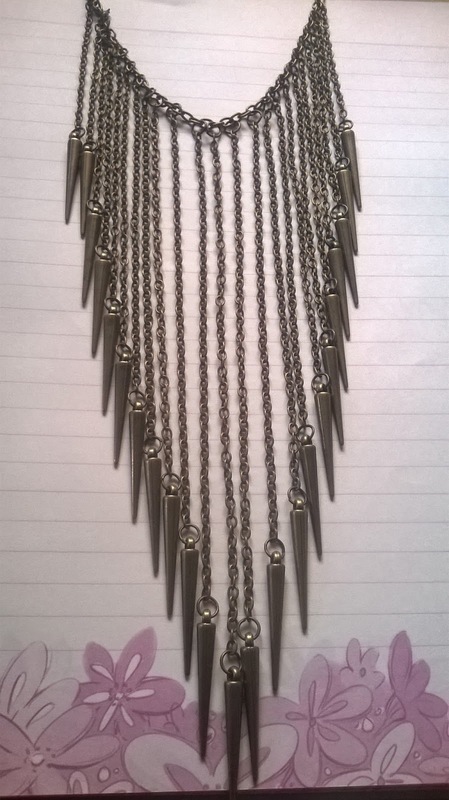 The elegance and simple design is the main beauty this necklace. Its kind of long. The gold, bronze and white compliments each other. This is my go to necklace. This you might have seen in my instagram. Its simple as well as chic. It doesnot give too much attention to the neck area still being there. I love the leafy design. This is another piece that I was totally in love with. The color combination makes it easier to go with a lot of pairings. It looks awesome with button up shirts. Now what do I say about this. I am OBSESSED with this. I am yet to wear this as I am not getting the perfect dress which can compliment its beauty. I bought this from abroad. Look at that!! Its such a lovely pop of color to my monocrome dresses. Its a head turner, trust me. Its my latest purchase. 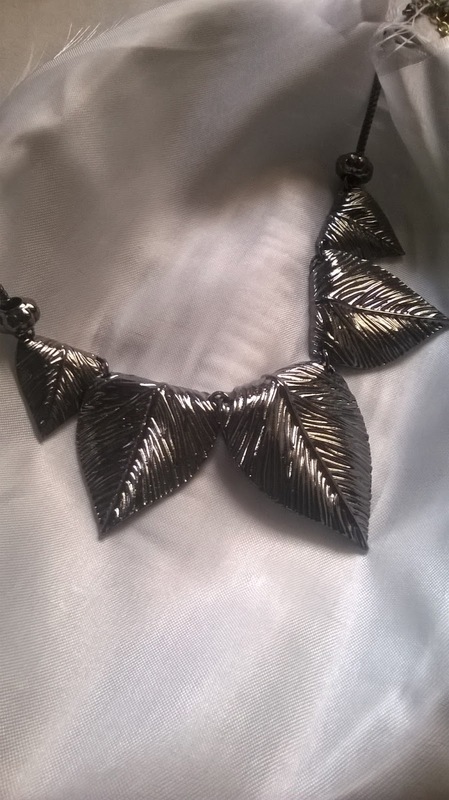 Its big and chunky yet can be worn with soo many of my dresses, tops, shirts etc. 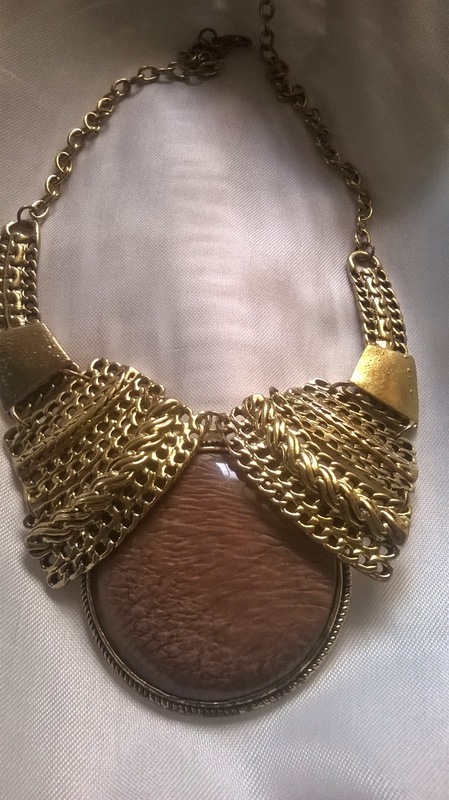 Its a glam piece. 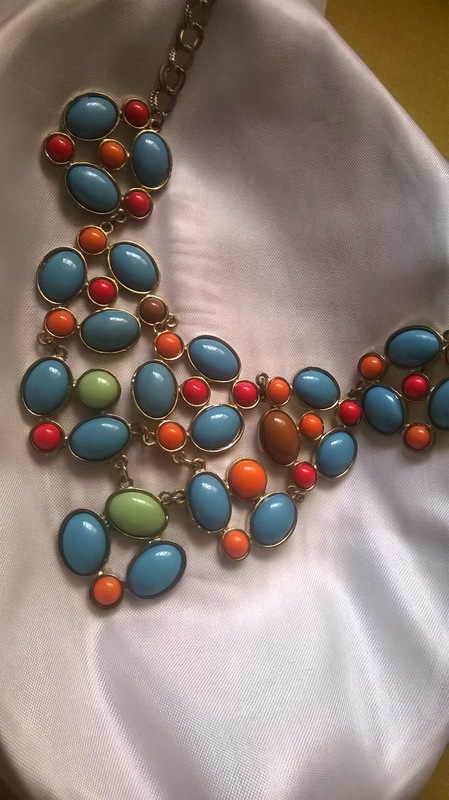 When I first got into statement necklaces, I had this reservation that it cannot be worn casually rather its meant only for special occassions. 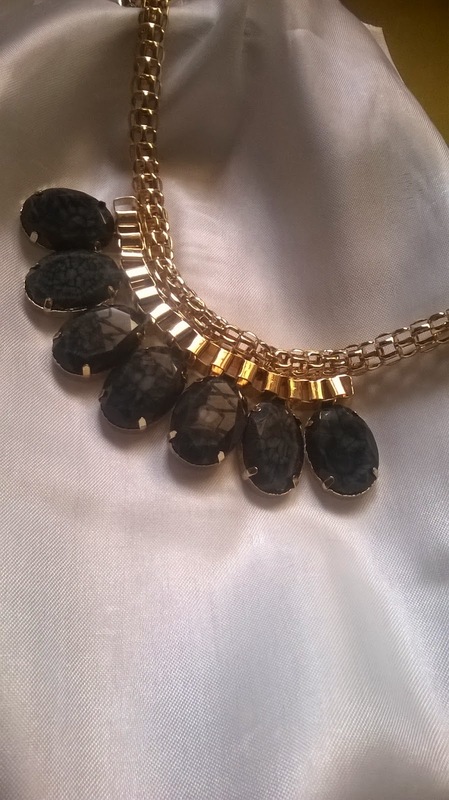 I really wanted to utilise the neckpieces to the fullest. Now I even wear it if I am going for an evening stroll or friends get together, shopping, outing, almost everytime I stepout of home apart from Work. 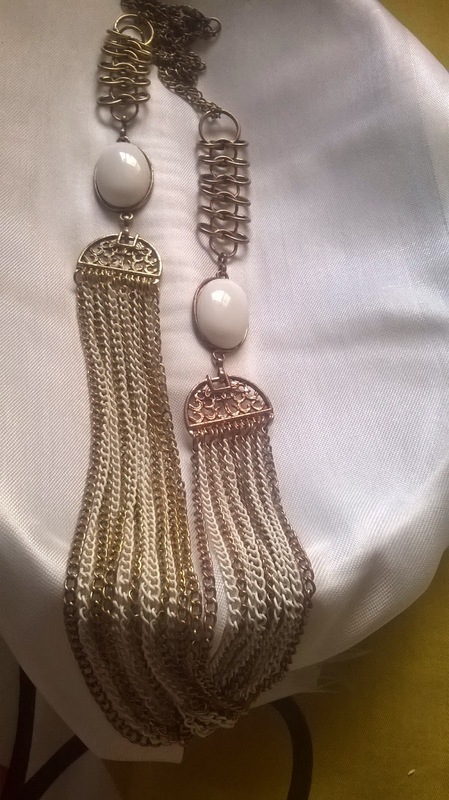 Hope you liked it and if you are new to accessories to necklaces, hope this encourages you to try something new. very nice and elegant collection.